Exploring the Kimberley from the water has never been easier as more companies add exciting itineraries along the ancient coastline. As three Princess ships and Pacific Eden sail north this winter they take with them the aspirations of many West Australians to “do” the Kimberley. These itineraries could open up the North West of WA to the everyday cruiser — those without the deep pockets that Kimberley cruising has often required. The ships add another layer to cruising the Kimberley, broadening the market from the expedition-style vessels which range from the basic but comfortable to the luxurious. While the bigger cruise ships skirt around the coast, smaller vessels are able to delve deeper, moulding itineraries to the whims of guests. “Cruising provides a conduit to see some of the best parts of the Kimberley,” Glen Chidlow, chief executive of Australia’s North West tourism, says. Mr Chidlow says travellers’ aspirations to have the Kimberley ticked off their bucket lists and the number of vessels offering cruises shouldn’t worry those seeking the ultimate wilderness experience. “We have seen more operators come to the region but everyone is very mindful of the experience people have. It’s still all about wilderness and feeling like you are not crowded,” he says. As always, the top spots to visit while on a cruise include King George Falls, Kings Cascades, Horizontal Falls, Raft Point, Montgomery Reef and Mitchell Falls. And if you are going to cruise the Kimberley, this is the year to do it. “The waterfalls in the Kimberley are spectacular, but with the rain we have had the coming months have been set up for a fantastic tourism season,” Mr Chidlow says. Recent pictures coming out of Mitchell Falls show barely visible tiers as water rushes over, King George Falls are gushing and the landscape is greener than ever. Mr Chidlow says it’s also a great season for those chasing barramundi as they head upstream in abundance. He says while cruising is the best way to access the Kimberley, the best experiences are those off the boat. Activities are plentiful, from visiting the rivers, gorges and waterfalls, swimming in freshwater holes, fishing for barramundi, or seeing the Aboriginal rock art. The Kimberley can be accessed on all manner of vessels, designed to suit many budgets. Sun Princess, Sea Princess and Dawn Princess are sailing the Northern and Western Australia Explorer itinerary from April through to November, skirting the Kimberley on the journey from Fremantle to Brisbane and from Sydney to Fremantle. A 15-day cruise aboard Sea Princess from Fremantle to Brisbane, departing November 18, costs from $2299 for an interior cabin. The cruise stops at Broome before cruising up the Kimberley coast. P&O Cruises’ Pacific Eden will anchor at Kuri Bay during its Kimberley forays, allowing guests to step ashore for a walk and tour of the Paspaley pearl farm. Nine-night Kimberley Coast Adventure voyages on Pacific Eden depart May 3 and 16. A 10-night voyage departs June 12. Substantially smaller than the big cruise ships are French company Ponant’s 264-passenger ship L’Austral and Silversea’s 120-guest Silver Discoverer. Silver Discoverer is spending April and May in the Kimberley, with a 10-day cruise starting at $11,750 per person, twin share. Ahoy Buccaneers has a good entry point cruise from Broome to the Buccaneer Archipelago and back with a seven-day swag-under-the-stars option costing $2000 per person. A twin-share cabin costs $2500. APT offers Kimberley Cruises in partnership with Noble Caledonia’s expedition ship, MS Caledonian Sky; the stylish L’Austral, and the boutique Coral Discoverer expedition ship. An 11-day Kimberley Coast Cruise aboard Caledonian Sky costs from $11,895 per person. Until July 31, APT has a companion fly free offer on selected 2018 Kimberley small ship cruises. Aurora Expeditions has four voyages between Broome and Darwin in June and July aboard its 42-passenger ship Coral Expeditions I. All of the departures are accompanied by expedition leader Mike Cusack who, with his wife Susan, lived in isolation for a year in the remote Kimberley in the late 1980s as part of Australian Geographic magazine’s Wilderness Couple initiative, and who have been featured in our Travel supplement. This year marks the 30th anniversary of their adventure, and the voyages include a guided walk with Mike to the ruins on Kunmunya Mission, where he and Susan spent their year in the wilderness. The 11-day Kimberley Coast cruises cost from $7990 per person. MV Kimberley Pearl is offering five to seven-night charters of the Kimberley and 11-13 night charters from Broome to Wyndham. The refurbished pearling boat, which accommodates up to 12 passengers, costs $800 per night for a twin-share ensuite cabin. With a maximum of 14 and 12 guests, The Great Escape Charter Company and Ocean Dream Charters both offer small-group luxury cruising. Carrying a maximum of 18 guests, the 25m Kimberley Quest II offers itineraries from six to 14 days. A six-day fishing expedition costs $6155 per person for a double cabin, while the 14-day Ultimate Quest from Broome to Wyndham (and vice-versa) costs $16,358 per person for a double cabin. Now in its 30th year in the Kimberley, True North and its on-board helicopter offer up to 36 guests absolute luxury with an adventurous slant. 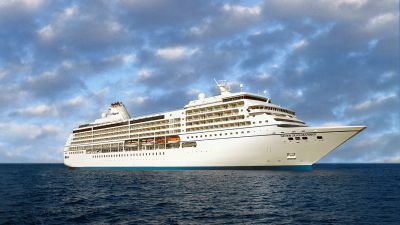 It has seven to 13 night cruises, with its flagship Kimberley Ultimate cruise costing $20,995 per person for ocean class. Kimberley Quest will mark 25 years of cruising WA’s North West next year, and to celebrate, it’s offering a special expanded expedition cruise in March. A cruise through the Buccaneer Archipelago, a scenic seaplane flight, a fast boat trip through Horizontal Falls and an Aboriginal cultural experience are all part of a new tourism experience in the Kimberley.